Please refer to the instructions below to receive your 20% Member discount. ​Not a Member? Join CART prior to registrating for the conference. Step 1. 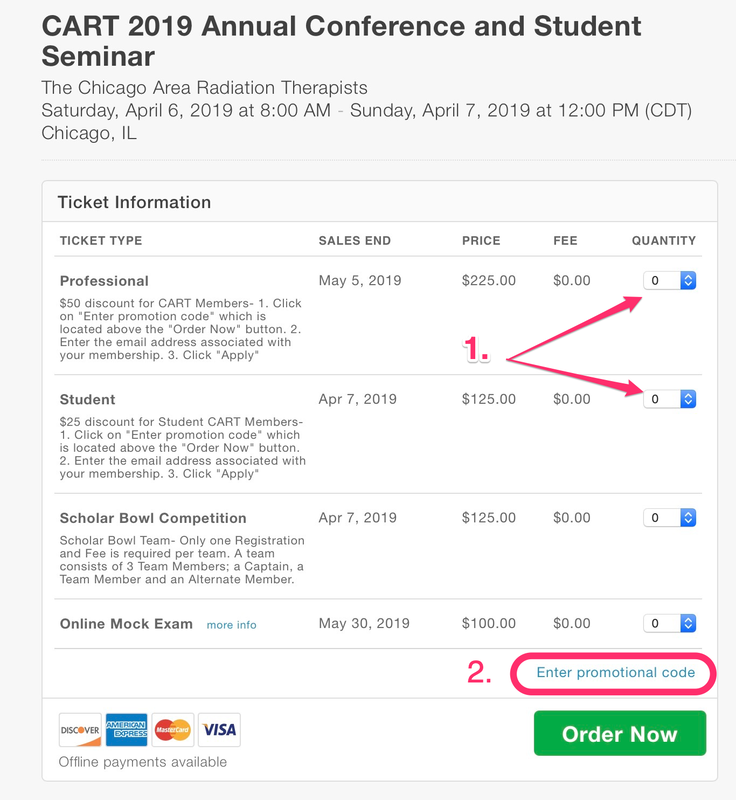 Choose your "Ticket Type" (Professional or Student) and select "1" for the "Quantity". ​Step 2. Click​ on the words "Enter promotional code". It is located on the bottom right and is above the "Order Now" button. ​Step 3. A box will appear. Enter the email address associated with your CART Membership then click "Apply"
​​Cick "Order Now" to continue registration.